Joshua Brown, the second-oldest son of the ‘Alaskan Bush People’ family, is ready to leave the bush. Is it the beginning of the end? ‘Alaskan Bush People’ behind-the-scenes secret life, details leaked Angelina Jolie and Brad Pitt darkest secrets revealed in explosive bombshell ‘Alaskan Bush People’ fake love, surprise marriage – who is Ruth Alisha Merrill? The new teaser video of Wednesday night's “Alaskan Bush People” show is hinting at Joshua Brown leaving the Alaskan wilderness and the Brown family. While Discovery Channel's Twitter video will certainly have viewers tune in, the truth behind Joshua Brown’s life with the Brown family is slowly coming to light. Photos posted by fans during the past days show Joshua Brown everywhere but in Alaska. Is Joshua Bam Bam Brown’s plan to leave the Alaskan bush the beginning of the end of “Alaskan Bush People”? Has the end of the Brown family already begun? During the summer of 2016, and before the filming of Season 6 of “Alaskan Bush People” began, Matt Brown, the family’s oldest son, spent some time in rehab in order to deal with his drinking problem. Despite being 35 years old, Matt Brown has no wife, no children, and there have not been any pictures of him and any potential girlfriend. Billy Brown, 64-year-old patriarch of the “Alaskan Bush People” family, appears to be in rather good health when seen on television. 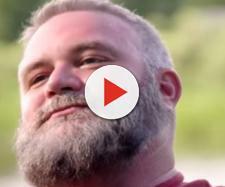 With his long-flowing white hair and his even longer beard, Billy looks great on Discovery Channel’s preview video. Being featured as the captain of his boat with his wife Ami along his side and helping others, the Brown family head of the wolf pack seems to be in command of his life in the Alaskan outback. However, recent photos of the Brown family visiting Las Vegas have sparked rumors that the Browns were not in sin-city for entertainment but for Billy's health issues. Whether or not Billy Brown was seeking treatment in Las Vegas -- or if the Alaskan bush family was just passing through -- is unknown. Given the fact that the Browns had the “Alaskan Bush People” family dog Cupcake with them seems to indicate that the whole family was away from home and on the road. Apparently, no one stayed behind in the Alaskan outback where someone would have taken care of Cupcake. Even though Discovery Channel is teasing viewers in its preview video that Joshua might be leaving the Alaskan outback and the Brown family, the reality is that the Brown family’s second-oldest son has been spending quite a bit of time away from the Alaskan wilderness. During the summer, Joshua Brown spent several weeks in New York City. Allison Kagan, who used to be one of the “Alaskan Bush People” producers, can be seen with Joshua in photos published by fans on numerous social media sites. Rumors that Joshua and Allison are a couple and might even be married have been eagerly discussed among fans since both are wearing rings on their fingers. In contrast to the “Alaskan Bush People” character that Joshua Brown plays on the show, presenting him as a man in his thirties who lives with his family in the Alaskan outback, the real Joshua Brown is sharing his real life with his fans. Similar to the photos showing Joshua in New York City with fans or Allison Kagan, the Brown family’s second-born son is proud to be photographed with his fans on his many road trips. Jeff Shields posted a photo of him and Joshua Brown in a plane going from Atlanta to Los Angeles. “I gave ole Bam from #alaskanbushpeople some Stereoside albums... told him to take them to brown town.. sat next to me from Atlanta to LA on the plane... haha.., “ Jeff describes the photo of him and Joshua Brown. Fan Jennifer Ayer posted an Instagram photo of her and Joshua Brown taken on January 8, 2017. Jennifer’s photo with Joshua was taken in South Carolina. While Discovery Channel’s video indicates that changes are coming to the Brown family living in the Alaskan outback, the real Brown family truth is that the show has already undergone quite a few changes. Joshua Brown’s Facebook page reports that the whole production crew of “Alaskan Bush People” has changed and that Allison Kagan is working in South Carolina. The new production crew members are proudly sharing Instagram photos taken with the Brown family in the Alaskan wilderness.